The Tamil Nadu Election Commission’s flying squad and local police detained a truck carrying Rs 7.65 crore-worth of money in the form of Rs 2,000 denomination notes in Thanjavur district on Wednesday. The district is home to the Aravakurichi assembly constituency where bypoll elections will be held on November 19. Officials were first perplexed by what they thought was the “ingenuity and efficiency” of party cadres as they obtained mint-fresh currency notes that had not yet been officially issued. Prime Minister Narendra Modi announced on Tuesday night that Rs 500 and Rs 1000 notes will be demonetised and a new Rs 2000 denomination note will be introduced instead. Election commission authorities presumed that the truck-load of cash was going to be used for distribution among people in the constituency to bribe them for votes. Upon further investigation, officials realised that the truck was actually carrying money to Bank of Baroda’s branches, to be issued to people from Thursday when the new currency notes are expected to be released. 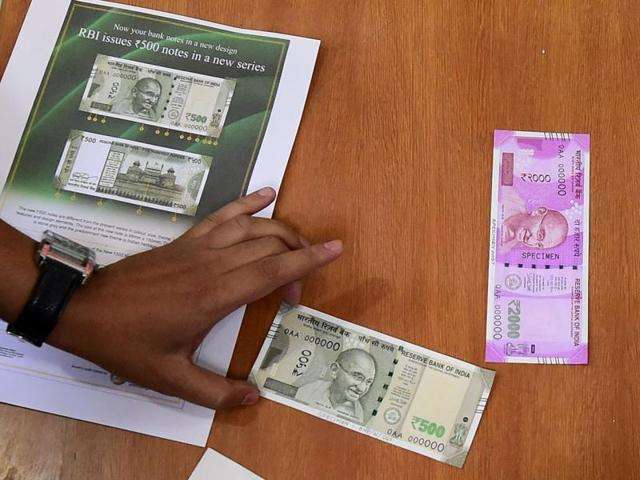 “It was money belonging to the Bank of Baroda and since there was a discrepancy in the truck number and documents shown for inspection to the flying squad, it was detained for more questioning,” said Tamil Nadu chief electoral officer Rajesh Lakhoni. He told Hindustan Times that the money and the truck would soon be let off so that it can reach the banks for distribution. In May earlier this year, the Election Commission of India announced that polling in Aravakurichi constituency will be postponed over bribery concerns.